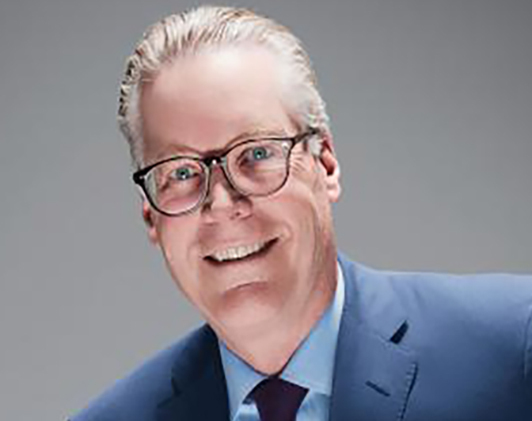 As CEO of Delta Air Lines, Ed Bastian leads a team of 80,000 global professionals that is building the world’s premiere international airline, powered by a people-driven, customer-focused culture and spirit of innovation. Under Ed’s leadership, Delta is transforming the air travel experience with generational investments in technology, aircraft, airport facilities and, most importantly, Delta’s employees worldwide. A 20-year Delta veteran, Ed has been a critical leader in Delta’s long-term strategy and champion of putting Delta’s shared values of honesty, integrity, respect, perseverance and servant leadership at the core of every decision. Since being named Delta’s CEO in May 2016, Ed has expanded Delta’s leading position as the world’s most reliable airline while growing its global footprint and enhancing the customer experience in the air and on the ground. During his tenure as CEO, Delta has become the world’s most awarded airline, having been named the Wall Street Journal’s top U.S. airline; Fortune’s most admired airline worldwide; the most on-time global airline by FlightGlobal; a Glassdoor Employee’s Choice company and more. Delta has returned to sustained profitability, regaining its investment-grade credit rating with all three major ratings agencies and paying out more than $1 billion in profit-sharing to employees every year over the past four years. In 2018, Fortune magazine named Ed among “The World’s 50 Greatest Leaders,” and in 2019, he was elected to the membership of the Council on Foreign Relations. Ed joined Delta in 1998 as Vice President – Finance and Controller and was promoted to Senior Vice President in 2000. He left Delta in 2005 and became Senior Vice President and Chief Financial Officer of Acuity Brands. He returned to Delta six months later to become Chief Financial Officer, and in 2007 was appointed to serve as Delta’s President. Ed grew up in Poughkeepsie, N.Y., and graduated from St. Bonaventure University with a Bachelor’s Degree in Business Administration. He lives in Atlanta, and is deeply involved in his faith, family and community.